This content is about Central Hospital Contact Number and location with the list of available doctors. 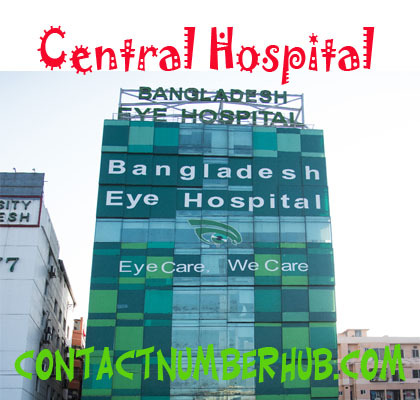 The main aim is to establish Central Hospital Dhaka to serve the patients without minimum complaints and prevent to go abroad for treatment. Thoroughly searched discussions about these matters provide them the idea of setting up the Health Service Complex that’s simply excellence for the suffering humanity. They believe health as the basic right for all types of society members of the country. This recognition made obligated to the hospital authority and its health service providers. · Ensuring modern consultation with dependable investigation. · Ensuring properly patient assessment with explainable administration and treatment. · Ensuring high quality health services with sustainability. · Ensuring necessary environmental support. · Ensuring services at an affordable cost. National Professor, MBBS(Cal), DTM & H (Edin) DCH (Lond), FCPS, FRCP (Edin). MBBS, FCPS (Neonatologist) Child & Neonatologist Specialist. Some of the out patients services are including Pediatrics & Neonates, skin diseases, dentistry, Obstetrics and gynecology, plastic surgery, orthopedics, surgery, endocrinology, nephrology, cardiology, gastroenterology, psychology, neurology, internal medicine etc.